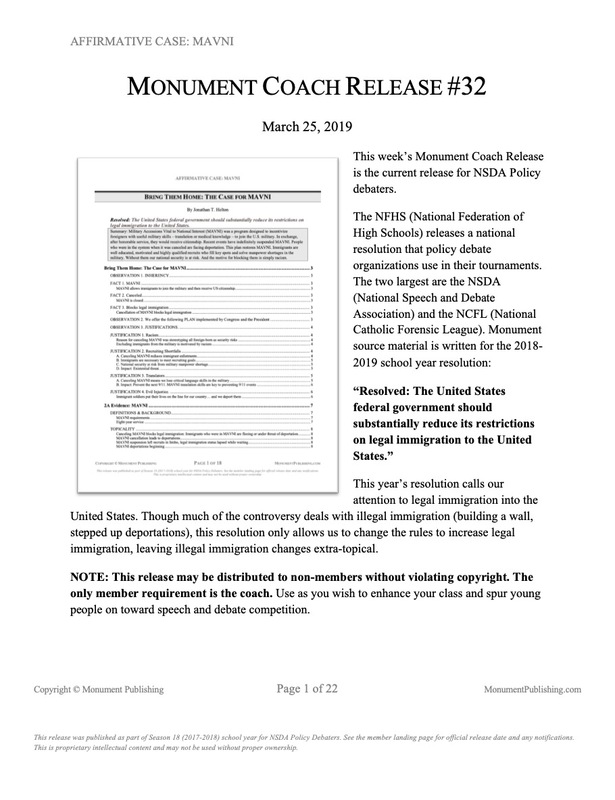 This week’s Monument Coach Release is the current release for NSDA Policy debaters. 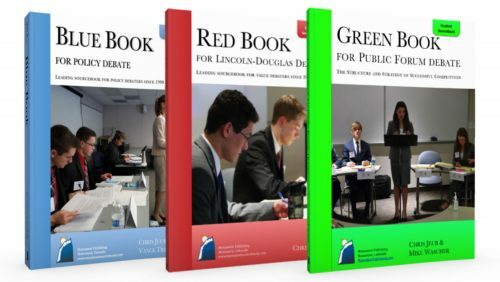 The NFHS (National Federation of High Schools) releases a national resolution that policy debate organizations use in their tournaments. The two largest are the NSDA (National Speech and Debate Association) and the NCFL (National Catholic Forensic League). Monument source material is written for the 2018-2019 school year resolution. This year’s resolution calls our attention to legal immigration into the United States. 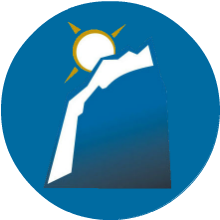 Though much of the controversy deals with illegal immigration (building a wall, stepped up deportations), this resolution only allows us to change the rules to increase legal immigration, leaving illegal immigration changes extra-topical.